Freeview Explore update: curated content and viewing suggestions | What Hi-Fi? Freeview Play's latest update highlights the latest shows from broadcasters including BBC, ITV, Channel 4 and Demand 5. Ever settled down in front of the television only to discover you don't know what to watch? Maybe the golden age of television has rendered us paralysed, with TV networks releasing one quality show after another... if only they'd give us an hour to ourselves! Freeview's new Explore feature is an attempt to give you more control over your viewing habits. Located as a separate tab in the Freeview Play menu, it will provide a showcase of the day's best on-demand content from the BBC, ITV, Channel 4, Demand 5 and other Freeview Play broadcasters. Shows are split over a carousel of 10 genres, including Comedy, Drama & Soaps, Entertainment, Factual, Movies, Sport, and a changing seasonal category such as ‘Christmas’ or ‘Halloween’. The content is curated by the broadcasters themselves, rather than an algorithm, and it is hoped well-known programmes will be avoided in favour of more niche shows. However, an automated system may be introduced in the future, Freeview says. 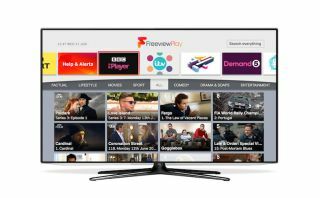 Freeview Explore will be rolling out on Freeview Play TVs and set-top boxes this month.